Facebook posts to share with your fans that will grow your business fast! Facebook is one of those social media platforms that you’ll want to spend a good amount of time on. Unless you completely ignore that account, it’s probably going to be in your top two analytics consistently. It’s a great business booster to share your blog posts and experience throughout the blogosphere. 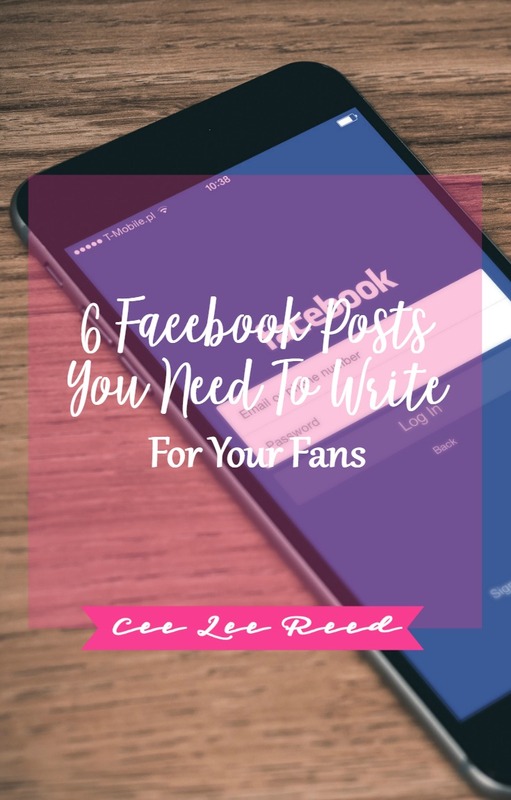 Here are 6 Facebook posts to share with your fans so they’ll feel more valued and engaged with your brand. 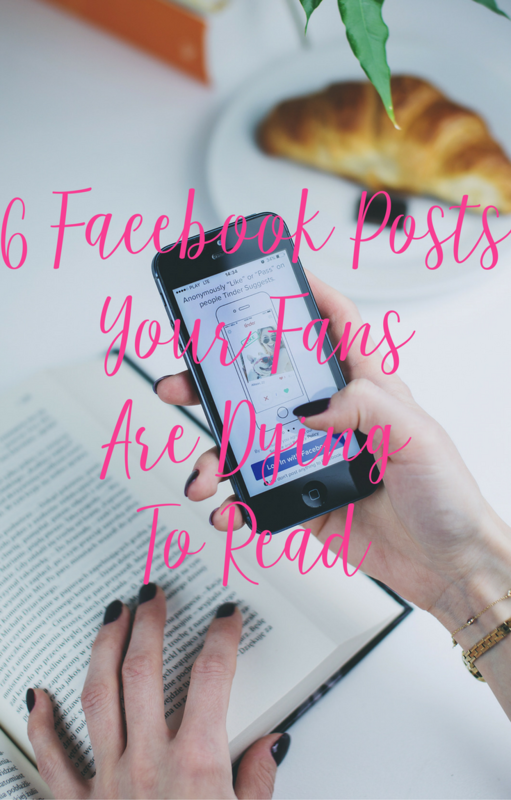 Which Facebook posts to share with your fans? If you are new to Facebook or just starting out your business, then you’ll definitely want to shower your stream and those of the group’s you are in with an introduction. How else will they hear about you? Be sure to include the following key pieces in your post. The version of this introductory post that stays on your pages should include a link to your website or work with me page. Remove those links when sharing in other’s groups and just to intro yourself. The sales talk will come later. Should I dye my hair pink or purple? Who needs a Blog Biz Best Friend? Their responses elicit more engagement from others and often times, you can get additional information that helps you write your marketing copy. PRO TIP: Ask questions about the type of service your audience needs and when they answer-build it for them. Ask a question about a service you offer. Fans that answer could be your next clients. Questions can be business related or just Get To Know Me questions. Make your posts fun and use hashtags that are trending…like #FunFriday. Post a new question each week and pretty soon those readers will be liking your posts and joining your email list. Most business owners have an amazing story in their rear view mirror. It’s odd to just wake up one day and decide to start a biz. Usually there is a huge pull to create something because of a trigger in your own life. Whether a tragedy, soul calling or Cinderella story; tell yours. Readers feel connected when they can envision a life of their own that you currently have. Humans can’t help but compare themselves to others so show them they can do this too. And they can do it with your help. I created my parenting blog as a platform to a book deal after being angered at critics of my parenting style. I am building this business that blogs to help other women like me become successful online. Neither of these would have happened if not for history. If I hadn’t parented my child differently, I couldn’t have built a highly successful parenting blog. If that blog hadn’t done well, I wouldn’t be teaching others how to mimic its success. Teach what you know and have overcome. Talk about that struggle and the long road to your fans. It endears you to them and instead of seeing a “know it all”…they see a real person. Be sure this is one of the Facebook posts to share with your fans. Always be 100% real and authentic. Everyday on your Facebook wall you should be telling your peeps about how you can change their lives. Promote your services, your courses, your books, all of those training videos…you get the idea. Tell everyone what you do and how you good you are at it. Clients can’t flock to you if they can’t find you. And that’s your fault. The online world is full of groups that allow promotion so find them, join them and promo yourself. You have the perfect opportunity right in front of you so take it. PRO TIP: Check out the rules first to ensure they allow promos. How can a client work with you? How fast can you help someone? What result will you help them get? This one can be an attention grabber and offers a lot of street cred if you can pull it off. Be sure to use this one selectively and in the right company. And most importantly, be sure your numbers are truly impressive, otherwise it could backfire. 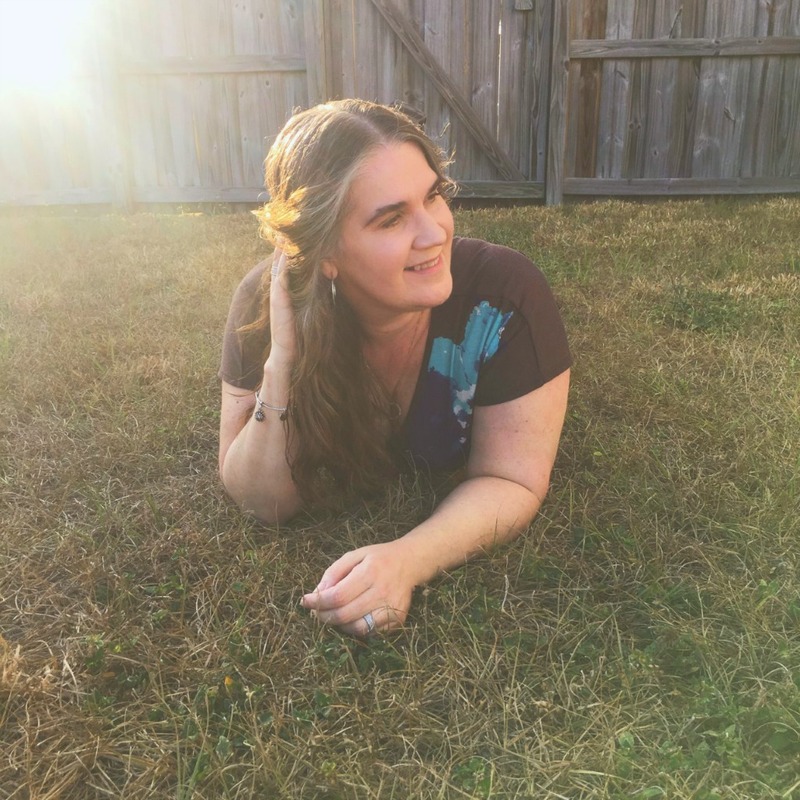 Write this post as encouragement and possibility-don’t be a braggadocious jerk about it. Prove to your readers and potential clients that you can help them create the same lifestyle for themselves. I personally love these types of posts as they encourage me to work harder and push further. They prove to me that other Lady Bosses are building these huge businesses and I can too. This type of post is always fun and keeps your writing at the top of everyone’s wall and mind. Use this type of post when you’re giving away a FREEBIE (like mine).Just like in your promo post you want to tell readers all the details. The difference is that if they want your FREEBIE, they have to comment on the post. Usually you ask them to say “YES” or “GOTTA HAVE IT”. Something fun and memorable that makes your offer sound irresistible. Each time someone comments, your post is bumped back to the top of the pecking order. So you get tons of free advertising and more visibility. Finish the post by giving a link to your offer or contacting each person via PM. Be sure to check the group’s rules before using this type of post as many admins don’t allow them. They are just that good!!! Starting out or upleveling always has business owners wondering what they can do to garner attention. Facebook posts and social media platforms are a great way to get visible. Use one or all 6 Facebook posts to share with your fans and soon enough, they’ll be heading your way. PS: Social media can be a bit overwhelming so here are 6 ways to make it less stressful. 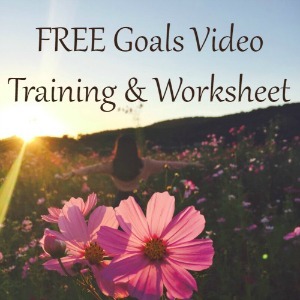 ← Awesome ways to grow your biz income without much effort!